If you run a medical or cosmetics business and have been looking for professional pharmaceutical packaging manufacturers for the proper storage of the products that you are distributing it’s about time you consider LF of America. We have been providing high-quality pharmaceutical packaging for a variety of companies and products for over four decades. During our 40+ years serving the industry, we have come to be regarded and relied upon as the go-to pharmaceutical packaging manufacturers for our premium products and competitive prices. The companies and product distributors that we work with have come to expect the degree of professionalism and premium product provision that we have supplied. Our pharmaceutical packaging manufacturers at LF of America are committed to the success of our clients and understand that we play a major role in helping them meet their goals. When you are looking for assistance from pharmaceutical packaging manufacturers we urge you to select the premium service provision at LF of America. We involve innovative assessment and testing solutions for our materials during our production process. When you select our team as your pharmaceutical packaging manufacturers you will receive packaging that is tailored to meet the specific requirements our your product and can be sold exclusively to your company. We have become one of the industry’s top pharmaceutical packaging manufacturers because we are committed to proficiently meeting the needs of our clients. 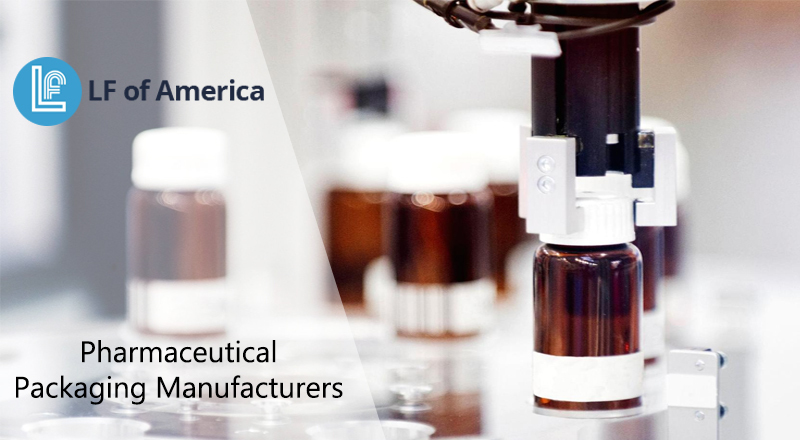 LF of America has over 30 different molding lines that aid us as pharmaceutical packaging manufacturers in the annual production of over 350 million individual pharmaceutical packaging units. Our company utilizes state of the art technology in order to achieve the quality of production that our clients have grown accustomed to. LF of America offers our clients stereolithographic prototypes to help determine right form of packaging for their products. We are the premium quality manufacturers for the pharmaceutical industry and are committed to the highest standards of operation and continual improvement. LF of America became one of the first packaging companies to offer clients the use of bioplastic in our products. When you are looking to contract a professional packaging company turn to the providers who demonstrate a consistent commitment to the provision of premium products while constantly striving to maintain an ecologically-friendly approach. Contact our team at LF of America to have any inquiries you may have addressed and get started working with one of the most trusted pharmaceutical packaging companies in the industry.